The second government shutdown of 2018 was stupid. But the deal that reopened the government provides valuable certainty over the next two years. Congress has two more items it needs to get done in the near-term. Politico called it the dumbest shutdown ever – and this one, unlike the last one, was all Republicans’ fault, as Senate leaders failed to plan around Rand Paul’s propensity for obstruction. But at least the shutdown was brief. And the deal that takes us out of it will leave the government and the country in a better position. There has been a lot of focus on the deficit-increasing aspect of the deal on “budget caps,” which sets out how much the government will spend on defence and non-defence functions over the next two years. But the caps deal also provides valuable certainty. This government funding deal only runs through late March, but the bipartisan agreement on total spending levels gets the hardest questions out of the way and means Congress is likely to be able to finally, in the next few weeks, reach a spending deal that runs all the way through September. Government agencies will soon know how much money they will have for various programs for a period of months, instead of just weeks. As the Government Accountability Office has described, that certainty allows government agencies to be more effective at their missions and to reduce costs. And because the caps deal also applies to next year, Congress might even be able to pass spending bills on time for 2019, instead of passing repeated stopgap spending bills – as has happened since this fiscal year began back in September. The last similar deal, the Ryan-Murray budget agreement in late 2013, led to a couple of years of relatively functional budgeting toward the end of the Obama administration. We’re likely to enjoy that again, for 18 months or so. The agreement also lifts the debt limit through March 2019, eliminating the near-term risk of a political crisis leading to a payment default on government bonds. 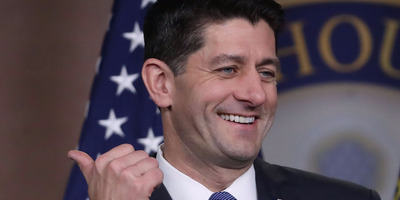 It extends the Children’s Health Insurance Program for another four years, on top of the six-year extension that came in the last temporary spending bill. And it funds relief from last year’s various natural disasters. After this agreement, there are two main items left on the congressional to-do list: a permanent fix for the Deferred Action for Childhood Arrivals program, and stabilisation for the individual health insurance market. An unspoken reason for the DACA delay is that there is not really any March 5 deadline to fix the program anymore. President Donald Trump had announced he would end the program by this date, but a federal district court judge, William Alsup, enjoined him last month from doing so and even directed his administration to start issuing DACA permit renewals again. The Senate has begun its debate process on immigration, as Mitch McConnell had promised Democrats he would do if there was no deal on the issue by February 8. If and when the Senate has passed something, Democrats will have a specific piece of legislation to press House Republicans to take up. Whether the growing federal budget deficit (more driven by the tax bill than by this budget agreement) will have persistent negative effects on financial markets or the economy remains to be seen. But in terms of getting the business of government done – making sure government workers get paid, benefits like CHIP are consistently available, and agencies have the capacity to do financial planning – Congress has taken steps in the direction of functionality over the last few weeks. It was a stupid shutdown. But I believe it may be the last one we have for a while.